Imagine your guests having their thoughts read at your event. 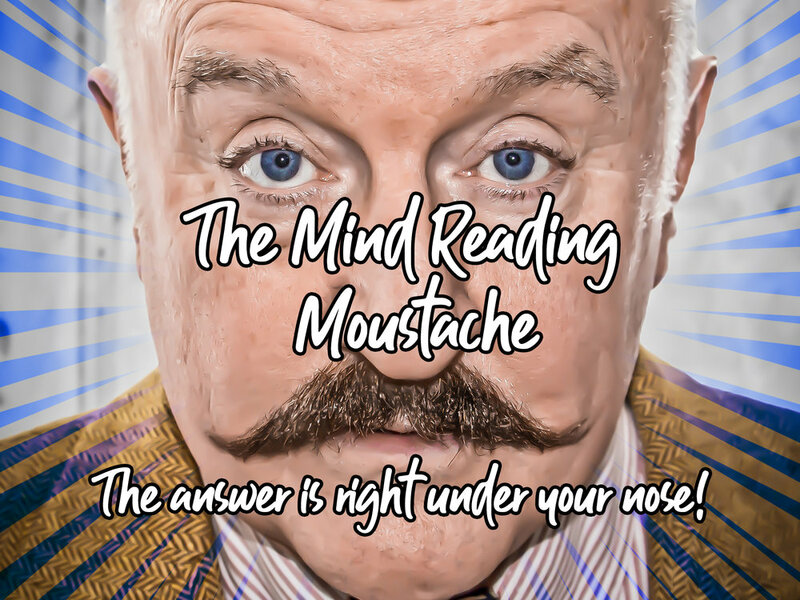 The Mind Reading Moustache, as he is known, has been bringing stunning mindreading and mentalism to dinner parties, restaurants, corporate events, weddings and theatres for decades. Now the man known as the “Derren Brown of the after dinner circuit” can bring this unique entertainment to you. Questions answered, predictions made, thoughts read and the most amazing body control experiments will take place before your very eyes. Check out availability now for the coming months, birthdays, dinner parties, barbeques, next Christmas and New Year.